Riverside conveys a sense of historic and architectural distinction that reflects the time and place it developed. 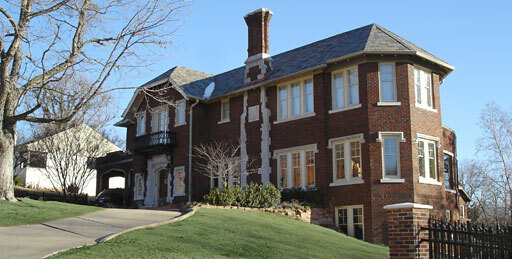 The district illustrates typical suburban land use from the 1920s to 1950s resulting from Tulsa’s population trends, economic status, and the community’s and national architectural tastes. Riverside has a high degree of its own integrity in location, design, setting, materials, workmanship, feeling and the association of houses. The neighborhood was born when the city spun outward with a spiral of subdivision growth, as developers tried to fulfill the demand for single family residences. Oil men, bankers, merchants, and lawyers were some of the businessmen who first settled in the Riverside neighborhood. Oil men included Clarence. J. Wright (attorney), Harry Sinclair and P. J. White (Sinclair Oil), Robert McMann (McMann Oil), Joseph Sanders (Sanders Oil and Gas) and Flint Moss (attorney). Riverside has its own distinct topography which gives the area its “river side” description. The flood plain and the river are elemental in defining this district. Its differences from and association with the neighboring Maple Ridge Historic District are determined by the presence of the Midland Valley Railroad tracks. The tracks are a defining characteristic which divides Riverside from the rest of the area, creating a physical, visual, and psychological barrier. In the 1970s Riverside began an association with Maple Ridge when the residents of the entire area joined efforts to stop a planned expressway which would have gone down the railroad track right-of-way. The Riverside District has a significant group of both Eclectic Revival and Minimal Traditional houses which compose 80% of the district’s housing. These houses may also be found elsewhere in Tulsa, but these stand out as a cohesive collection which spans a period of changing architectural tastes. Riverside was placed on the National Register of Historic Places on March 31, 2005 under National Register criteria A and C. Its NRIS number is 04000937.